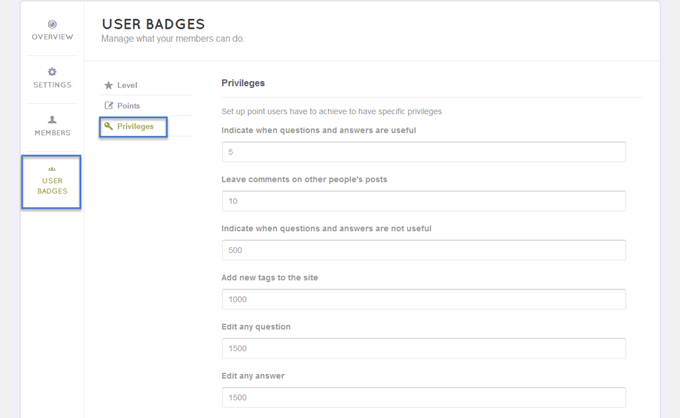 - Enter a name for your badge: insert a name for the badge you want to make. 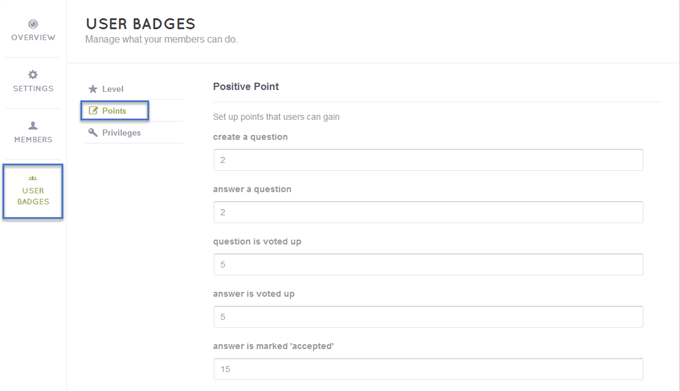 - Point: decide how many points a user has to achieve so that they can gain this badge. - Color: choose a color to represent this badge. After completing the empty fields, click Add badges. - Click the edit symbol on the right of the badges. - After editing the information, click “Save plan” button to complete your settings. - You can also click “Cancel” button if you don’t want to edit the badge anymore. - If you want to delete a badge, simply click the "X" symbol at the end of the badge. 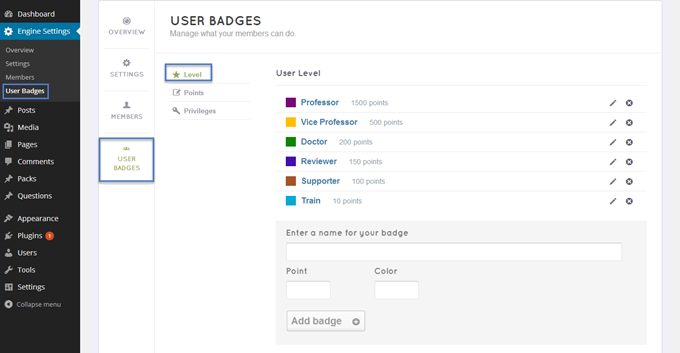 This section allows you to create the points system for the users. - Their question is voted up. - Their answer is voted up. - Their answer is marked “accepted”. Ex: If you want users receive 2 points when they ask a question, simply insert 2 in the “create a question” field. - Their question is voted down. - Their answer is voted down. - They vote down an answer or question. 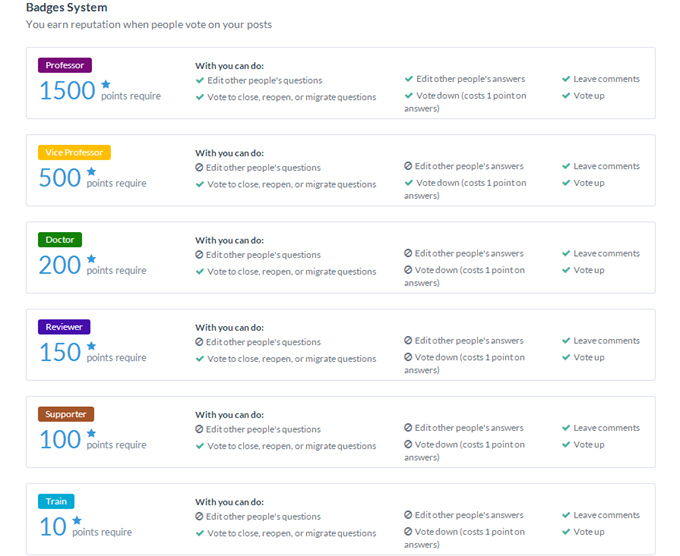 In the front – end, users can see the points system as well as their points. They can see their points whenever they point the badge below their names, they can also see their points in the “Users” section. - Vote up a question/ answer. 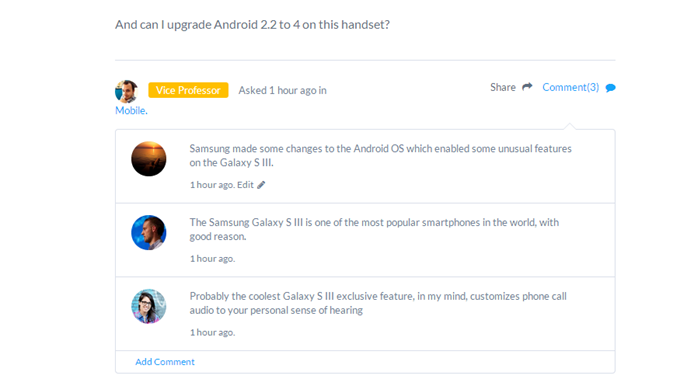 - Leave comments on other people’s posts. - Vote down a question/ answer. - Add new tags to the site. 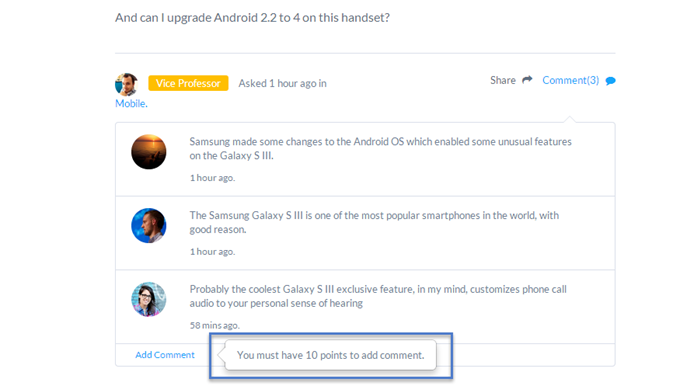 Ex: If you want a user have to gain 10 points before they can leave comments, simply insert 10 in the “Leave comments on other people’s post” field.